As 2015 draws to a close and we’re looking towards the horizon at books that are soon to be released, there are many patterns to be found… here’s just a few. Blackhearts by Nicole Castroman is not a swashbuckling sort of novel, but as it tells the story of a young Blackbeard, perhaps the most infamous pirate, I decided to include it. 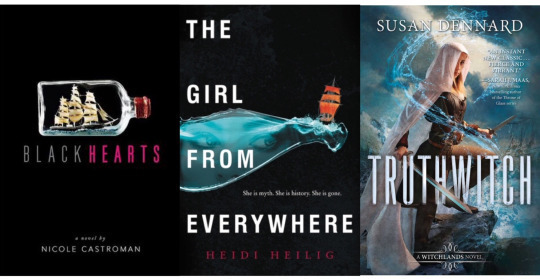 The next, in the middle, and my personal favorite, is The Girl From Everywhere by Heidi Heilig and on the far right is Truthwitch by Susan Dennard. Personally, as someone who has never worn a ball gown, I find this trend the most amusing. Starting off on the left is A Cold Legacy by Megan Sheperd. 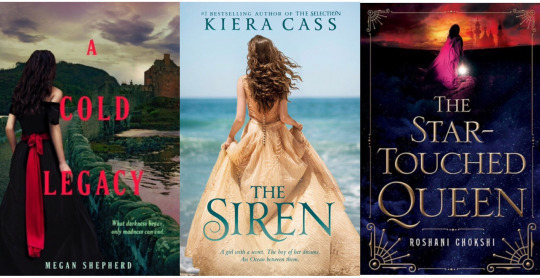 Next to that is The Siren by Kiera Cass, which although it’s technically being republished, I decided to include, because it was given a new cover. Finally, and my personal favorite cover, is The Star-Touched Queen by Roshani Chokshi. Definitely my favorite of the trio, Ruta Sepetys’s Salt to the Sea is on the left. 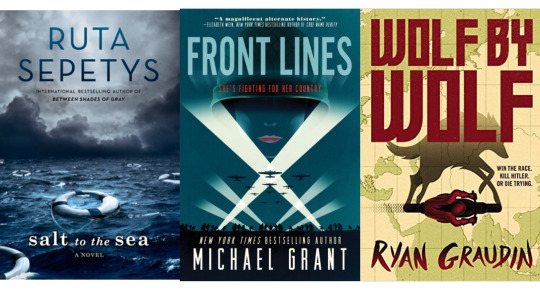 Front Lines by Michael Grant is in the center, and on the right is Wolf By Wolf by Ryan Graudin (which did come out late this year, but I included anyway). As a bonus, here are two, both very well written, novels coming out in 2016 that involve time traveling and nautical living. 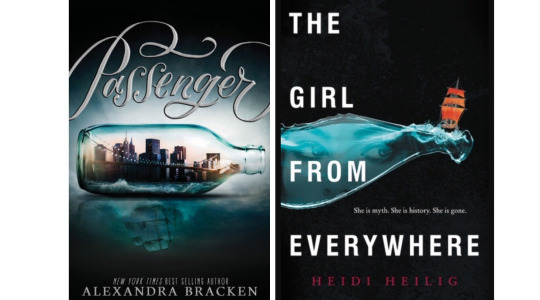 On the left is Alexandra Bracken’s Passenger and on the right is Heidi Heilig’s The Girl From Everywhere.